Vivekananda in the light of modern management is shown as an example of superb leadership and managerial qualities. as a leader has never been studied and thought about on it's own, especially in the light of modern management and leadership theories. 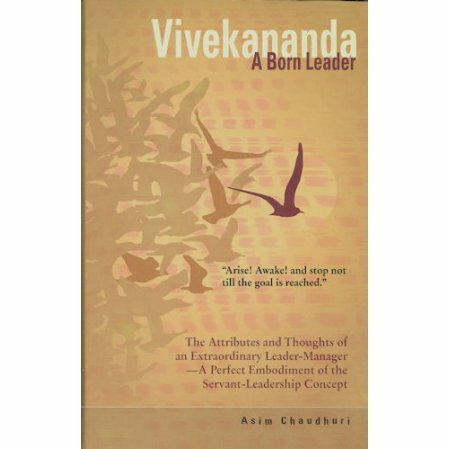 The author saw Vivekananda as the perfect example of a leader. In fact, Vivekananda followed modern textbook leadership and management principles. Here is a book for today's and tomorrow's leaders and managers. Asim Chaudhuri s best known in the Vedanta community for his personal research following Vivekananda's footprints in the United States that culminated in two books: Swami Vivekananda in Chicago:New findings and Swami Vivekananda in America:New Findings. He is the recipient of the prestigious Vivekananda Award 2009,given by the Ramakrishna Institute of Culture, Kolkatta,India.